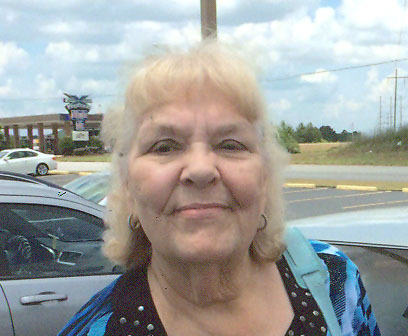 Ellen Williams Pearlman, 74, of Albany, GA died Saturday, September 8, 2018 at Phoebe Putney Memorial Hospital. Memorial services will be conducted Monday, September 10, 2018 at 3:00 p.m. at Friendship Baptist Church of Lee Co., GA. Rev. Mark Spraggins will officiate. Born in Moultrie, GA, Ms. Pearlman had resided in Albany, GA all of her life. She was preceded in death by her parents, Sebron Boyette Williams, Sr. and Edna Pauline Jones. She was employed with the Albany Chamber of Commerce for a number of years and retired from the Lee State Prison. She was a member of the First Presbyterian Church of Albany, GA and attended Friendship Baptist Church of Lee Co. Survivors include her husband, Paul (Bill) Murphy, Albany, GA, a daughter, Katie Pearlman Rycroft (Trey) and a son, Michael Pearlman (Ciara) all of Leesburg, GA, a brother, Sebron Williams (Celina), Leesburg, GA, a sister, Kathy Solberg (Dr. Lawrence Solberg), Jacksonville, FL. and five grandchildren, Cameron Rycroft, Hunter Rycroft, Caydin Drawdy, Knox Pearlman and Lenox Pearlman. In lieu of flowers those desiring may make memorials in memory of Ellen Williams Pearlman to Albany Pet Partners, 1601 E. Broad Ave., Albany, GA, 31705. The family will receive friends Monday from 2:00 p.m. until the funeral hour at Friendship Baptist Church of Lee Co, 963 GA-32, Leesburg, GA, 31763. The family is at the home of Michael and Ciara Pearlman, 175 Montrose Dr., Leesburg, GA, 31763.